The NIKE X SUPREME AIR MAX TAILWIND 4 finds the Lafayette overlords joining forces with Nike on a special edition of the Tailwind 4 from 1999. 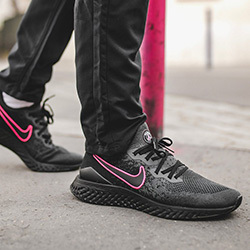 The Tailwind series marks an interesting chapter in Nike’s running design history, as the original 1978 shoe was the first shoe ever to feature Air technology. 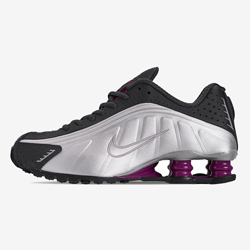 Since the original Air Tailwind made its debut, Nike has continually developed the series with multiple editions and evolutions of the Tailwind concept. 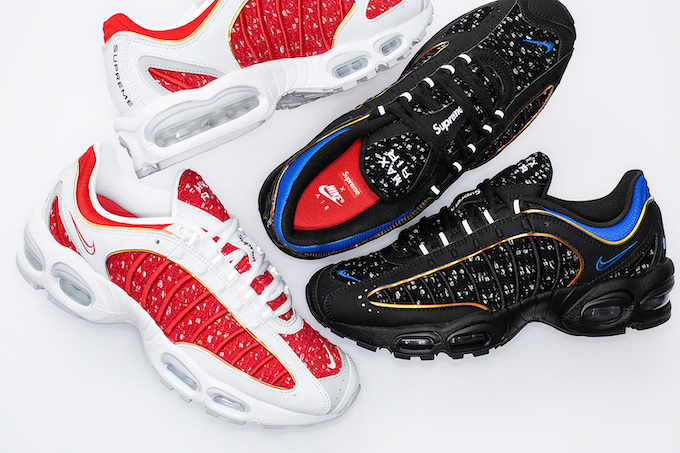 The Air Max Tailwind 4 is already scheduled to return in 2019, so it’s a calculated move that Supreme should work their magic on this design for their own SS19 collection. 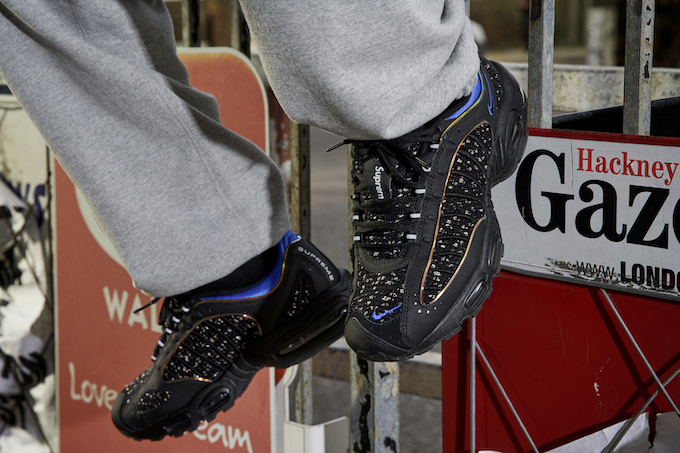 The breathable mesh/synthetic upper features ribbed sidewalls and multiple layers that give this substantial and bold silhouette some real presence. As this version is releasing via Supreme, you can expect to see plenty of special details here: reflective 3M pops, co-branded insoles and all the usual trimmings. Firstly, we saw the initial black colourway spotted one of the Supreme France crew members, which has now been followed up with a box logo-ready red and white construction. 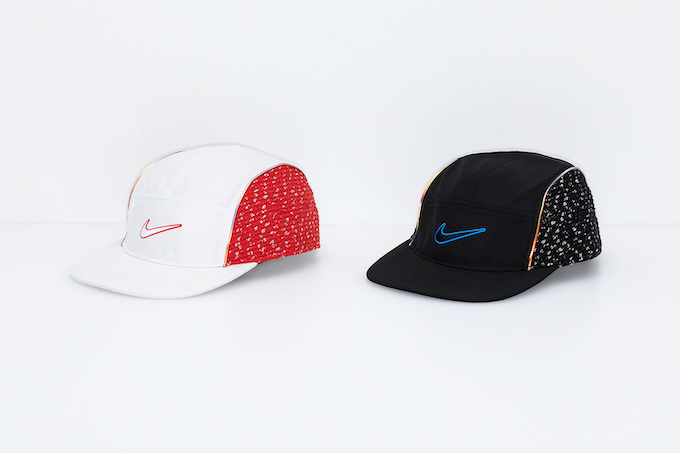 The drop will also feature two matching Running Hats in a DRI-FIT featherlight fabric with patterned side panels reflective piping and embroidered logos.